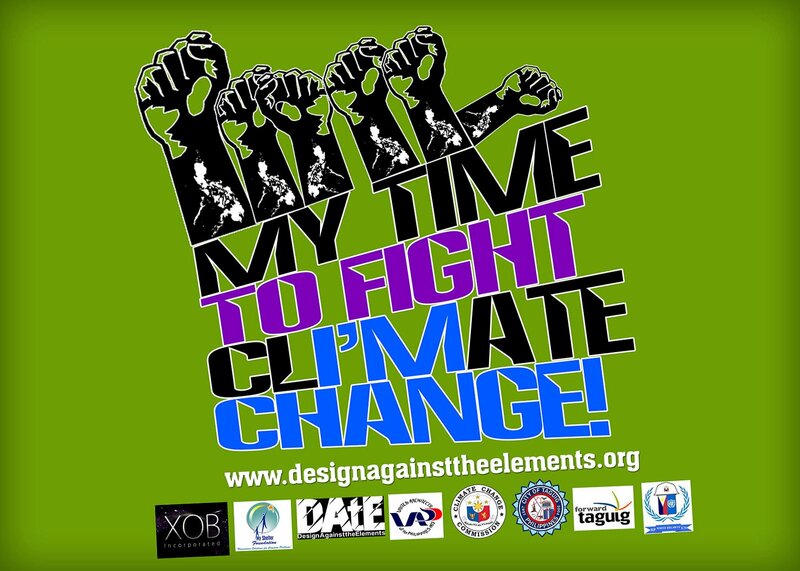 Earth Hour is the single, biggest, global call to action on climate change ever seen. 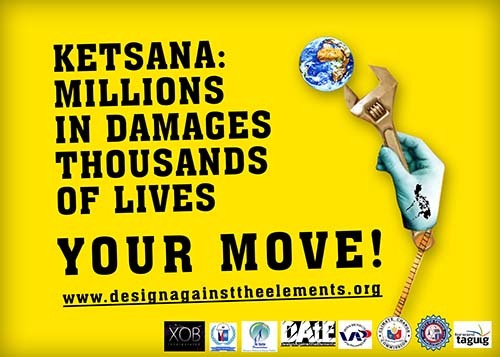 It is a highly “visible” symbolic act that everyone can easily join—all you need to do is turn off your lights for one hour from 8:30PM to 9:30PM tomorrow night, March 27, 2010. Invite your friends over for a candlelit dinner. Get those board games out and have some fun seeing how easily you can swap your scrabble counters in the dark! Go for a walk. Lie down. Look up. In all of that which you’ll then see, we only have the thing you’re lying on to call home. Cherish it. …or plan a few harmless April Fool’s Day pranks in advance. As we aspire for better health for ourselves with running and even extend help to others by joining races for charities, why not do something as simple as turning off our lights for an hour for the Earth? The reduction on your power bill may not be as significant as the “inconvenience” it may cause, but hey, if you can, why not? 5:40AM the 10K race started. We “strategically” placed ourselves at the back of the pack as we’re not conscious of our time. For me it was one of the few times I started at the back and it was a world of its own—the gun was sounded yet the people at the back were hardly affected—as if there was no race! We were constantly chatting during our “pretty” pace—since we’re showing off our Runner’s World singlet we had to stay “pretty” for the camera, thus the name. Despite the very, very slow pace (which was practically walking) we were still able to overtake many runners! Unbelievable! It was just about 500 meters into the 10K and yet we see people walking. Eventually as the race progress this scene became more common, and as runners doing a “pretty” pace we had so much unused energy to maintain our speed (or lack of, hehe). This was one of the most organized races I’ve seen so far. Hydration stations finally reached international standards with long tables, adequate water and sports drinks, and close intervals. Distance was a bit over but the route was my favorite particularly when it went through the “tunnel.” Both sides of Kalayaan flyover were also used so it was a chance for us to run on the “other” side. Some route markers were a bit confusing though but as far as 10K is concerned it wasn’t an issue. Finally who wouldn’t appreciate the convenience of starting and finishing in the middle of Ayala Center. We wanted to ensure that our presence is known, particularly in the finish, as we were there to promote our sponsor Runner’s World Magazine and so on the last few hundred meters of the race we “showed off” by running in our agreed formation, encouraging loudly those ahead of us to run, and crossed the finish with big smiles and loud cheers! And yes we were really running the last parts as we saw the clock approaching an hour and a half into the 10K—finishing at 1:29:35 (1:27:46 chip time). It was probably my slowest race ever (even slower than my BDM102 average pace) but it was definitely one of the most enjoyable one. Thank you Summit Media and Runner’s World Magazine Philippines for this opportunity! This year’s Globe AyalaLand Run for Home successfully reinvented itself by still introducing new “features” that enhanced the overall race experience while still pushing the level of local races to international standards. Of course this “upgrades” didn’t come free as fees also went North but on the bright side there were a lot of ways to get discounts, and it still is a run for a cause benefiting Habitat for Humanity. The experience would’ve been “perfect” had the perpetually delayed race results been resolved. If you had activated the Facebook live update though you had pretty much a good idea of your time (involves some Math) right after you finished, but for the rest it was a very long two days (detailed Runpix results still unavailable as of press time). Overall I give this race a Very Good (4/5) rating. Real time race results? Almost, but not quite—maybe next time? After some procrastination, detailed Runpix race results are finally available via http://www.runpix.info/mnc10/ge.php. Your in-race photos courtesy of PhotoVendo are also now available via http://free.photovendo.ph/. Race results are now available through http://site.globe.com.ph/run/home. 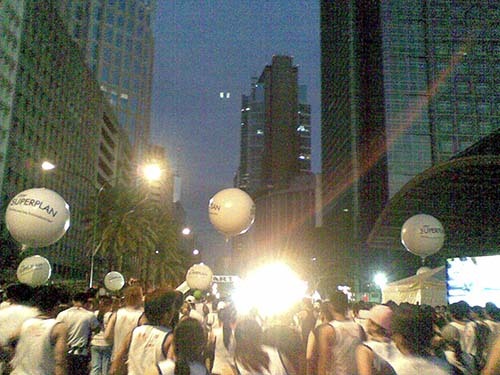 The race that introduced timing chips to the local running scene is back, the Globe AyalaLand Run for Home 2010, this time bringing a running event, also for the first time, to the heart of the country’s financial capital, Ayala Center, Makati Central Business District. The firsts don’t stop there—Facebook live updates were also introduced providing updates to your status as you pass each timing stations (provided you activated this feature of course). This year saw registration fees reach all-time high and even Globe Run which used to be practically free was not spared with the trend, but as a cost effective option Globe provided discounts for group registration. 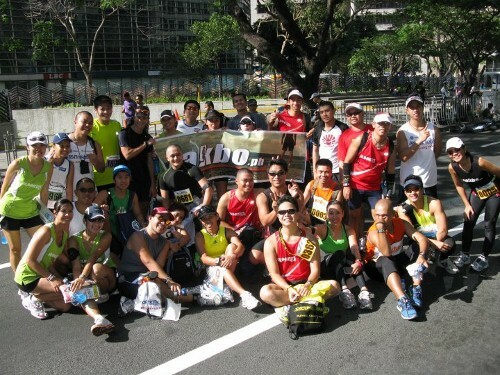 Naturally the running community took this opportunity and formed groups (via takbo.ph) and I of course joined one. Unfortunately for me and one of my buddies our group “organizer” didn’t “organize” and we were left hanging 48 hours before deadline! We had joined the group early and I was told that by our “organizer” as late as four days before the deadline that everything was okay, until I went to takbo.ph a day after when he didn’t reply to any message I sent and found out that the group was actually dissolved! I was so dismayed that I had placed a trust to a person whom I thought was responsible (which made me realize not to easily trust anyone online without a known reputation). He single-handedly brought down nine other runners with him (which hopefully were able to regroup) just by doing nothing. The funny thing was that I had successfully registered two other persons with another group! I was so ashamed with my buddy but I was thankful he had a good mindset and told me it wasn’t my fault. He had bought a Globe Tattoo HSDPA modem that comes with a free race kit. I dropped the idea of running Globe. I asked Timmy the “catch” of our free race and when he explained it I was pleasantly surprised—the “catch” would be running as a group (same pace all throughout) while wearing Runner’s World singlets! Woah! From tragedy to ecstasy. This would be in line with the formal launch of Runner’s World Magazine Philippines, by Summit Media of course. Me, a Runner’s World endorser?! It was two weeks after BDM102 and my right knee is yet recovered! I was hoping badly that it would heal by race day but it didn’t so I was very thankful that I’m doing a 10K “only!” I was barely able to keep up with our adiNation pilot run and doing a 10K was a real challenge. Would I be able to keep up with my group? Just who are these “Team Runner’s World?” Stay tuned to find out. Courtesy Tracy Carpena. 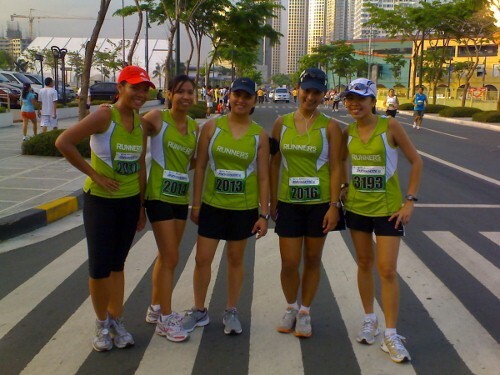 The adiNation of Runners (aNR) Philippines is a running club with a goal to provide members with value-added training and special privileges to train and motivate them to achieve new fitness levels. 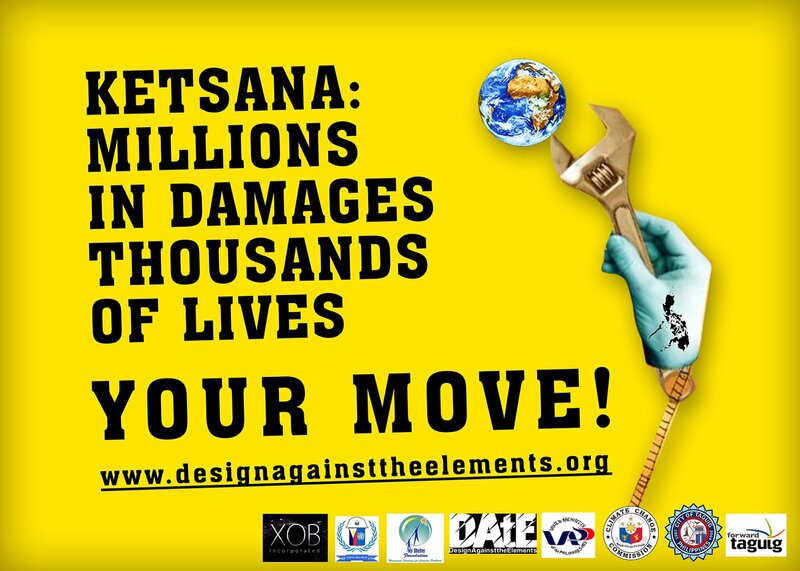 Here in Metro Manila aNR is staged initially in four locations: Ayala, Alabang, Ortigas, and Bonifacio High Street. This program co-presented by takbo.ph. The pilot run of the Ortigas Group was held last night in Pearl Drive in front of the University of Asia and the Pacific, headed by Luis (The Gingerbread Report). Although there wasn’t much publicity about the event there was a good set of runners that joined the event. 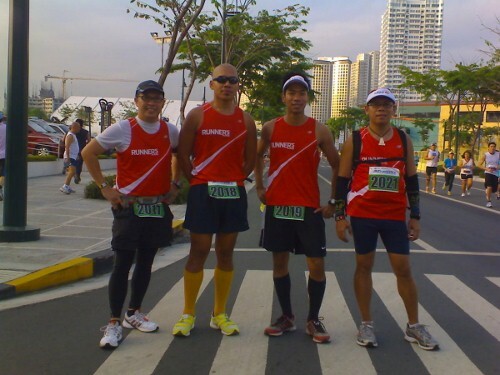 The Ortigas Group runs every Wednesday nights (headed by Luis, 7PM onwards) in front of UAP, and Saturday mornings (headed by Rodel “The Argonaut,” 6AM onwards) in front of Tiendesitas and would cover various routes around Ortigas Center. Joining the Group Run is free and you don’t need to be adidas gears to do so. 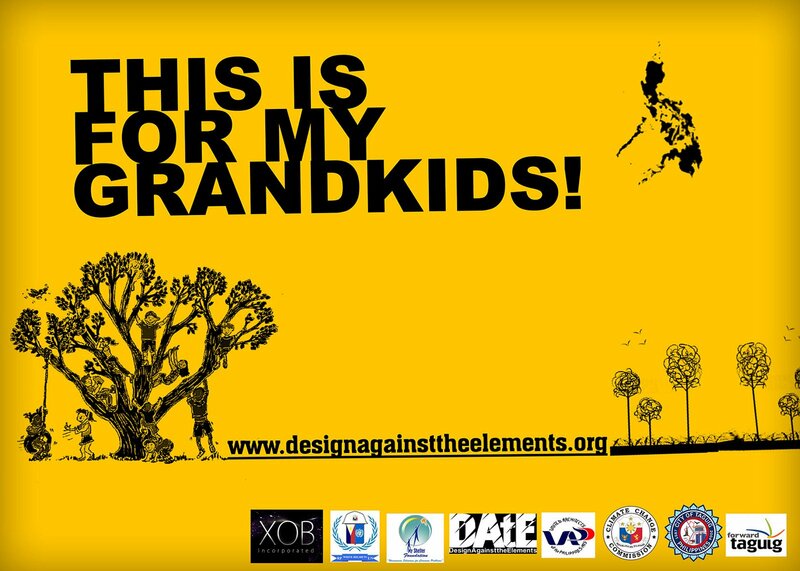 Just drop by the assembly area before the run starts, fill up the form, and you’re done! You also get a “passport” that your group head would sign afterwards which you should keep for future runs. Only one signature per week thought is allowed. 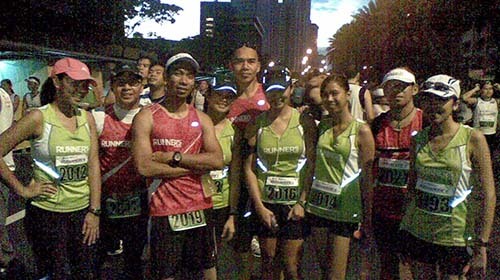 More pictures from last night’s run can be viewed here via takbo.ph on Facebook. 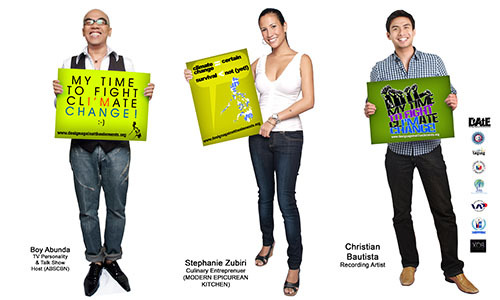 For more information about aNR Philippines visit http://adination.takbo.ph/ or for the regional site visit http://www.adination.com/.